I'm in the process of updating pages. I have been working on the Newest Free Patterns. 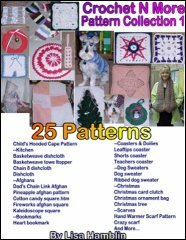 patterns from 2007 and 2008.
dedicated to Pet Crochet Patterns. to vote for my niece's "tooney". You can vote every 8 hours. Help! 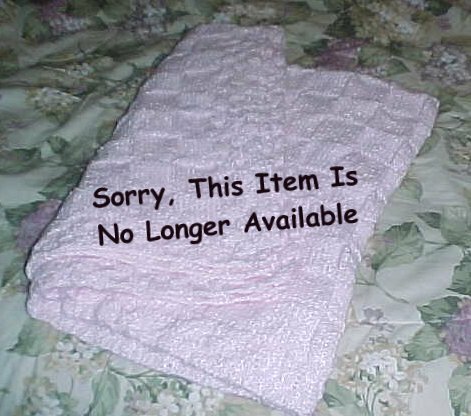 I have been looking for afghan patterns using the afghan stitch. The one that you use a long hook and load the loops on the hook then work them off for each row). I would appreciate any one that can direct me to some patterns or a book of patterns. Cheap is good free is better. These are graphs that use the afghan/tunisian stitch that you are looking for. You have heard that it was said, "AN EYE FOR AN EYE, AND A TOOTH FOR A TOOTH." But I say to you, do not resist him who is evil; but whoever slaps you on your right cheek, turn to him the other also. And if anyone wants to sue you, and take your shirt, let him have your coat also. And whoever shall force you to go one mile, go with him two. Give to him who asks of you, and do not turn away from him who wants to borrow from you. If your enemy is hungry, give him food to eat; and if he is thirsty, give him water to drink; for you will heap burning coals on his head, and the Lord will reward you. The north wind brings forth rain, and a backbiting tongue, an angry contenance. It is better to live in a corner of the roof than in a house shared with a contentious woman. This quote is from Our Daily Bread - January, 2009 Issue. and lived in the city of Thyatira? I've been working on updating the free pattern index. All patterns, unless I've overlooked one, have been added to the index pages. 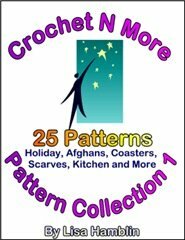 I have added separate free pattern pages for patterns from 2007 and 2008. I have also added a free pattern page especially for Pets. do you have number 65? You're very welcome Lorraine. I do my best to explain pattern language in simple terms, or as I call it "Plain English" :o) I hope the information on my pages help many people. You vere very helpful to me a few years ago and now I'm asking for help again. When going back and forth from a row of single crochet to a row of double crochet where do I make my first stitch in the previous row? Each row says either ch 1 or ch 3 and then to either sc in the first dc or dc in the first sc. When doing the dc row don't I actually skip the first sc in the previous row? And at the end of each row do both the ch 1 and the ch 3 count as the first stitch of that row? When I chain 1 to turn for a single crochet row I always put the first stitch in the stitch at the base of the chain. When I chain 3 to turn for a double crochet row I put the first stitch in the next stitch over. If the pattern contains stitch count information it's always best to check your stitch count after each new row to be sure your stitch count is correct. I came across a pattern that was a hexagon or something like it, and instead of being sewed together it joined as motifs with a filler star or flower inbetween. I cant find it now, Would you happen to know where i can find it. Thanks so much shelby ps: I really enjoy you newletters, it is refreshing to find a place with Godly influence. Thank you so much dunningfm. This will make a beautiful pin for my coat. Thank you for the creation, it is so lovely. I have a pomperian dog and Iam looking for bootie pattern can you help.I love the sweater pattern. I have searched so many times for this and had no luck. You can use that pattern and sew the toe closed. I haven't been able to locate any. I wonder if it could be published using another term besides "Bavarian"? What a great pattern for a dog sweater! I'm hoping it will fit my grand doggie, a mini-dachshund with a deep chest. 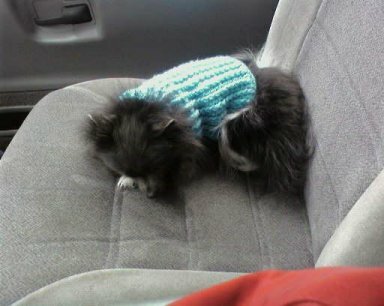 He's tiny, gets cold very easily, and I can't find sweaters or coats that fit him properly because the legs are never cut right. I think your pattern will do the trick! So you should have five treble crochet stitches and four chain 2 spaces when finished. I signed in to find out to get a pattern for wedding garter. I was very pleased to one you listed and I'm trying it. Just found this page,by chance, will make a note of your details, I knit, crochet, and Tunisian Crochet. Hi! I like your doilies and scrunchies. I would like to feedback on afghans. I am sort of a beginner in afghans and have trouble crocheting them. Do you have any V-St afghan patterns. keep up the good work. and it includes a you-tube link to a video. which begins at the waist. to help you crochet your sweater to fit any breed. I just finished an 18" doll hat and poncho for a christmas gift. They turned out so cute. I just wanted to thank you for the free patterns. I didn't find an error, but I would like to tell you, that you are a genius and I love this pattern! Each square is approximately 4-1/2 inches. The size is totally up to you. would make the afghan 12 squares wide and 14 squares long. little to the size also. Employed as a dental receptionist, I was on duty when an extremely nervous patient came for root-canal surgery. He was brought into the examining room and made comfortable in the reclining dental chair. The dentist then injected a numbing agent around the patient's tooth, and left the room for a few minutes while the medication took hold. "Mom, I think we'd better find a new doctor!" Torrential rainstorms were knocking down power lines all over the county one week. As a customer service representative for our local power company, that meant I was dispatching trucks and linemen to repair problems all day and every night. "I'm at Post Office Box 99." "Ma'am, we'll be coming to you in a truck, not an envelope." "Sir, you need to fasten your seatbelt for takeoff." Macho Bill says, "Not necessary to do that, Superman doesn't need a seatbelt." "Superman," the flight attendant said, "doesn't need an airplane either." "When I grow up, I'm going to give you some money." A nurse on the pediatric ward, before listening to the little ones chests, would plug the stethoscope into their ears and let them listen to their own hearts. Their eyes would always light up with awe, but she never got a response equal to four-year old David's comment. the disk over his heart. "Listen", she said..........."What do you suppose that is?" and my dad phoned for an appointment. their way through it, I guarantee they'll head for your house." for me just to buy the termites another cord of wood." pretending she was a fairy godmother. "Make three wishes," she told her mother, "and I'll grant them." Her mom first asked for world peace. made her third wish, "I wish to have a trim figure again." A young woman wasn't feeling well, and asked one her co-workers to recommend a physician. "I know a great one in the city, but he is very expensive. Five hundred dollars for the first visit, and one hundred dollars for each one after that." The woman went to the doctor's office and, trying to save a little money, cheerily announced. 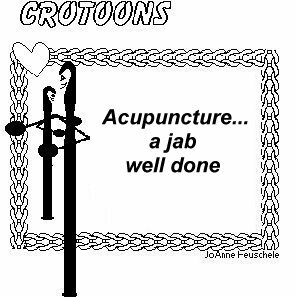 "Very good, just continue the treatment I prescribed on your last visit."